Belarus loses from $ 600 to $ 800 million in corruption in public procurement annually. That is about a quarter of the amount spent on public procurement in Belarus. The data was published by the international non-governmental organization - Transparency International, according to the head of the project "Kost Urada" of the BIPART research center Vladimir Kovalkin. He also presented a comparative transparency rating of public procurement in the Eastern Partnership countries. Over the past year in Belarus, public procurement amounted to 3.3 billion dollars. This is about 7% of the country's GDP. “If we consider that 20-25% of the money allocated for public procurement is spent on corruption, then about 10% of the amount is direct corruption, and another 10-15% is the purchase of unnecessary things or goods of inadequate quality”, Vladimir Kavalkin estimates. "Even if we imagine that we cannot completely defeat corruption, and at least decrease it by 50%, we will save 300-400 USD million of the budget. Experts from six countries evaluated the procurement system in Eastern Partnership countries for 63 indicators. They compared legislation, as well as efficiency, transparency, impartiality and competitiveness of the procedures themselves. In addition, they analyzed the procedure in three stages: before, during and after the tender. - Finding out what happens after the winner is announced: how the goods or services are delivered, how payments are made, whether the conditions change, is a rather big problem in Belarus. And the closure of this topic is often explained as a commercial secret, "says Vladimir Kavalkin. According to him, it is the lack of transparency in public procurement that provides an opportunity for corruption in this area. In Belarus, there are supposedly electronic trading platforms, where all bidders should publish their proposals. It’s just that such transparency does not exist in reality. First, instead of open format documents, the organizers of the auction publish scanned documents. It is practically impossible to search through photos or pdf-files using a search function of the computer. As a result, quite often, only those who were told about the tender personally, know about its existence. Hence another Belarusian feature is evident. While the law determines that the main procedure for conducting public procurement is open tender, in practice about 90% of the procurement occurs through purchases from a single source. This means that auctions do not take place and you negotiate directly with a particular supplier. Additionally, it is not necessary to publish such contracts publicly. Only a fifth of the tenders are conducted by electronic auctions. All other contracts are, as before, on paper. Another problem of the Belarusian legislation is that it does not oblige bidders to publish information about their subcontractors who will directly perform services. It turns out that the tender is won by a dummy supposedly independent firm, and the work is done by the structures related to the customer. After the implementation of large-scale reforms, Ukraine and Georgia transferred all public procurement exclusively to the electronic format with the publication of all stages mandatory. Procurement from one source is also allowed there, but also with the publication of relevant documents. Open statistics on the methods with which public procurement is conducted are not published from 2015. Presidential Decree No. 590, signed in 2013, further simplified the possibilities for non-competitive purchases, experts say. The document states that if the tender failed once, then the contract with the selected supplier can be concluded with the agreement of the higher authority. If the auction was canceled twice - then you do not need to receive such approval. “It is rare not to have competition during auctions. If this happens, then the conditions are prescribed for a specific supplier, as in the history with electronic composters, which Minsktrans has purchased”, said Kovalkin. “We do not have a single approach to filling in the tender documentation. Everyone writes it as they want. And maybe, for example, the big Russian letter "Н" is replaced with the Latin "N". This is done so that the maximum number of potential suppliers do not notice the tender. So it will only be found by those who know how to look”. Domestic producers during the bidding have an advantage over foreign ones - plus 15% to the price. In practice, it looks like this: a foreign company offers the delivery of goods for $ 100, and ours - for 115. But still wins. The norm is good, but corrupt, says Kovalkin. According to him, in practice this leads to a regluing of labels on the imported goods. From foreign experience, experts propose to adopt one more practice in Belarus: to prohibit former officials who went into business to participate in public tenders for the former employer. Usually, such moratorium is introduced for 5-7 years. "We have a situation where a person worked for some time in the procurement department of a state agency or some budget organization, he collected useful contacts there, and then went into business and began to cooperate with his former colleagues from there," says the expert. And this happens against the backdrop of the fact that in some areas, for public procurement, the general law does not apply. Physicians, for example, conduct all tenders from a single center. For the IT sphere, approval of the Operational Analytical Center under the President is mandatory. In the construction industry, everything is regulated by a decree written especially for them. Lobbyists from the construction industry asked for exceptional rules before the World Hockey Championship in 2014. They convinced the government and the president that the law on public procurement would not allow them to introduce all the facilities on time. “Then they worked for a year according to the general rules, were not satisfied and they again made sure that a special decree was written for them. And construction is always very expensive. This area accounts for about half of all public procurement expenditures” - the expert explains. Now the Ministry of Antimonopoly Regulation and Trade is preparing a new draft law on public procurement. Authors of the document promise cardinal changes. Among other things, the price will cease to be a decisive factor in the conduct of tenders. Currently, the executives, who already at the bidding stage take into account the final cost of the goods, in addition to the efficiency and warranty of the service, risk violating the law. As an example, we can recall the story of the director of the Vitebsk broiler poultry farm, Anna Shareiko, who bought expensive fodder. Today, the choice of the supplier depends directly on the initial cost of the offer. The price set at the auction provides up to 40% of success of the deal. It is necessary to include life cycle cost as one of the criteria. And now, even if someone wants to buy a product which is more expensive, but will work three times longer and the cost of exploitation will eventually turn out to be lower, still has to buy cheap and bad products. After the MPs adopt the changes in the second reading, a unified, automated public procurement information system will appear in Belarus. In fact, this is a kind of online store for businesses and organizations with a list of all sellers, buyers and goods. On this “market”, buyers will find it easier to find what they need, and the controlling authorities will follow how public money is spent more efficiently. There will also be a register of unscrupulous suppliers. 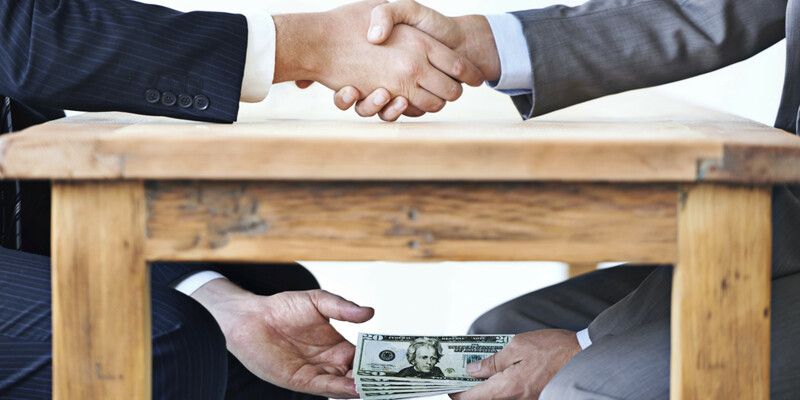 To exclude corruption, procurers are obliged to enlist their partners who violated the terms of the contract. After this, the seller will be debarred from the state procurement market for two years. Furthermore, monitoring of bidding documents and bidders will take place. Any affiliated structures in one tender will be outlawed, and contracts deemed illegal.